Snowfest a Success | Backcountry Lodges of B.C. Snowfest a Success | Backcountry Lodges of B.C. 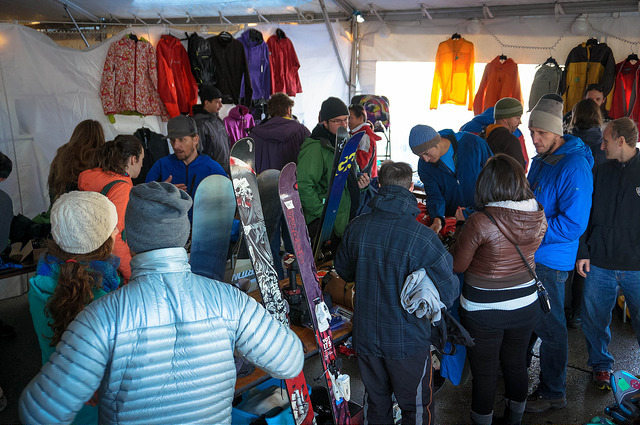 The BLBCA participated at this year’s MEC Snowfest in Vancouver on Nov. 18th. 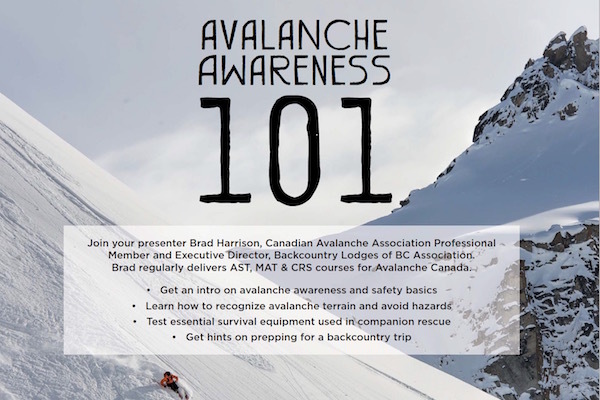 Executive Director, Brad Harrison attended the event and presented a well-attended Avalanche Awareness 101 clinic. The clinic provided an intro on avalanche awareness and safety basics. Attendees learned how to recognize avalanche terrain and avoid hazards, test essential survival equipment used in companion rescue, and received tips on prepping for a backcountry trip. Harrison, a Canadian Avalanche Association Professional Member, regularly delivers AST, MAT & CRS courses for Avalanche Canada.